When this special family heirloom vanishes from a local church, Neela is devastated. As she searches for it, strange clues surface: a teakettle ornamented with a familiar-looking dragon, a threatening note, a connection to a famous dead musician, and even a legendary curse. The clues point all the way to India, where it seems that Neela's instrument has a long history of vanishing and reappearing. If she is able to track it down, will she be able to stop it from disappearing again? What is it like, to be a debut author (or illustrator or author-illustrator) in 2011? What do you love about it? What are the challenges? What came as the biggest surprise? In each case, why? Being a debut author is an exciting, scary, nerve-wracking, one-of-a-kind experience. It means learning to work under a deadline and adapt to many changes along the way...but it also means seeing all that hard work pay off after so many years. I think, as writers, we are so used to being sidelined, ignored, or rejected for so long, that it’s almost impossible to believe that now suddenly a whole team of people – editor, agent, cover artist, marketing and sales people – care about your book and are helping it to become a reality. There are so many things I’ve loved about this year, but at the top of the list, has been meeting other debut authors along the way. One of the best decisions I made was saying yes when Sara Bennett Wealer (Rival, HarperTeen 2011) asked me to help her start The Elevensies, an online community for 2011 YA and MG authors. A lot of the groundwork was done for us by the 2010 Tenners and 2009 Debutantes (our parents! ), but Sara and I still had to learn so much along the way (I finally figured out what a chat room was!). I also know for me, being the shy, quiet writerly, type that I am, I would never have met so many people on my own had I not been a part of such a community from the beginning. They have been my life support, my go-to people, who’ve held my hand and celebrated my accomplishments through the whole year. In general, I think I’ve been blessed in many ways. I had a fantastic editor who made me work very hard and raised difficult questions, but who always let me make the final decisions. I had one of the most beautiful covers I could ever imagine made for my book by the fantastic Jon Klassen, and when my book was all done – I even had a first reader, my own eight-year-old daughter, who got to read my first ARC! And I love talking to the librarians and booksellers in my area. I love that we are part of the same industry, that we are all passionate and energized about children’s books – that has really been like finding the mothership! Still – as wonderful and all-consuming as the debut experience is, it does make writing the second book so hard. I thought I had it all figured out – plotting, editing, revising – but you end up having to do the hard work all over again. Writing is hard work. And you have all the expectations and results of the first book hanging over you when you work on your second. The biggest challenge for me this year is finding the time to write new material, and not to expect it to be perfectly crafted and executed from the start. In spite of that – in spite of the fact that I’m most happy when I’m writing, and I’m often dismayed by how much time I spend not writing while promoting (or worrying about promoting) Vanished – I know I will miss my debut year when it’s all over. As a mystery writer, what first attracted you to that literary tradition? Have you been a long-time mystery reader? 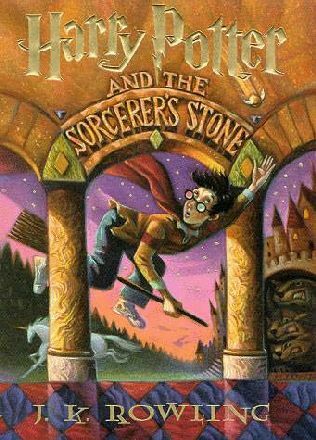 Did a particular book or books inspire you? Well, I am not a mystery writer by birth. I actually started off writing literary adult fiction. After I finished my MFA at NYU, I worked on a contemporary adult novel set in New York City, which I had started while I was in the program, and I found I wasn’t gaining much traction with it. T hen really by accident, I began working on a “fun project,” which was originally supposed to be birthday present for Neela, my niece. She was in elementary school at the time and a huge Harry Potter fan. She also played the veena, a traditional stringed instrument from India, and I thought it would be fun to write a short story about her and her veena. Because she was into Harry Potter, I decided to make it a mystery story with fantasy elements (I think I even had some magical fruit in the first draft!). Honestly, I never imagined myself writing for children at that point, or that the fun project I was working on would turn into something larger and more serious. But as I continued writing, I began to ask myself all these what-if questions: What if I wrote about an Indian-American girl growing up in the Boston area, a place that might be one of the most historically American places I know? What if I combined that with writing about an instrument that was part of a rich and ancient music tradition in India? Some people might have heard of Bollywood, or Bhangra music, or eaten a naan or two, but it was unlikely that they would have encountered a veena. And in the children’s books I’d read so far, I had seen very little of South India, the region my family and I are from. So the what-if's continued. 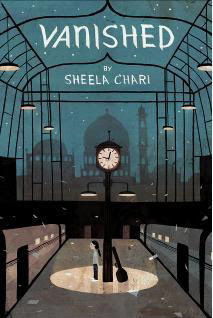 What if I could introduce an Indian-American girl and the veena and the city of Boston and the city of Chennai to kids…in the form of a mystery novel? Which led to the last what-if: What if someone stole Neela’s veena? And that’s really how Vanished was born. By answering a lot of what-if’s. Of course, that’s where a lot of problems started, too! It’s not easy writing a mystery, I soon discovered. A lot of planning had to take place to make sure that the clues “added up” by the end. In my previous life as a literary writer for adults, I seldom relied on plot to advance my story, but on the nuanced changes in my characters. Well – scrap that! I learned to plot, I learned to write cliff-hangers, I learned to make sure that my chapter endings would (hopefully) get my reader to turn the page for more. Writing Vanished was the hardest, and yet the most rewarding writing experience I’ve had. It really taught me so much about structure and tension, about what to reveal and when. At the heart of any good book is a mystery, of wanting to know what happens next. What better training than to write a mystery for middle graders? I’m really happy with the way Vanished turned out – it underwent so many changes from that first draft I sent my niece. I hope that kids who read it today will not only have a fun time, but will also learn a little about South Indian music and the dynamics of a modern Indian-American household. And oh yeah, how to slide a lock open. Sheela Chari on Vanished from Uma Krishnaswami on Writing with a Broken Tusk. 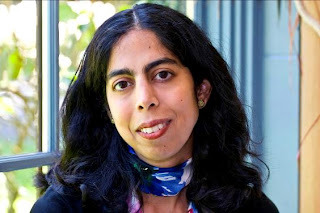 Peek from Uma: "I was thrilled when I first heard about Vanished (Hyperion, 2011), because I've long been calling for South Asian-American fiction for young readers in which culture and social issues do not in themselves constitute the story. Here you have mystery, music, school friendships, honesty and self-awareness all converging in a most engaging novel." Hooray for Sheela, our fearless Elevensie leader and writer extraordinaire! Hooray, indeed! Thanks for the cheer, Caroline! And thanks for hosting me, Cynthia! I loved being featured here! Sheela, thanks so much for sharing your thoughts, and congratulations on your success!